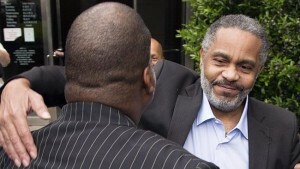 “Anthony Ray Hinton is thankful to be free after nearly 30 years on Alabama’s death row for murders he says he didn’t commit. And incredulous that it took so long. Hinton, 58, looked up, took in the sunshine and thanked God and his lawyers Friday morning outside the county jail in Birmingham, minutes after taking his first steps as a free man since 1985. Quoted from a CBS News report. This case isn’t unusual, it’s typical of the miscarriages of justice that occur too frequently in the American criminal justice system, because of structural flaws in that system. Most people don’t realize this, but you are presumed innocent only before conviction. After a guilty verdict is rendered — no matter how flawed — there’s a strong presumption of guilt. Even prosecutorial or juror misconduct isn’t enough to overcome it in many cases. And in recent years, conservative-dominated courts, including the U.S. Supreme Court (which currently has a Republican majority), have been turning a blinkered, if not blind, eye to innocence claims in their push to fast-track executions. There are complicated practical and legal issues involved, but the principles are simple. What guilty person does not claim innocence, if only to save his own skin? Particularly on death row? Death penalty opponents for years have searched for a verifiable case of an innocent person being executed, and still don’t have one that’s certain. But with the advent of DNA testing, dozens of people convicted of serious crimes — including many on death rows — have been exonerated and the parade grows longer every year. It’s clear that all the states’ criminal justice systems are convicting large numbers of innocent people. Sometimes racism, and not infrequently police dishonesty, play a role; but the circumstances and causes vary. The three common threads running through these failures of justice are (a) insufficient safeguards to prevent wrongful convictions from happening in the first place, (b) inadequate or nonexistent post-conviction remedies and avenues for correcting mistakes, and (c) indifference of higher courts to the system’s mistakes and insensitivity to the plight of innocent people behind bars and on death rows. Recent years have seen the advent of the Innocence Project, founded by lawyers Barry Schreck and Larry Neufeld (both alumni of O. J. Simpson’s defense team), and similar groups. These advocates have achieved notable successes in freeing innocent people. But, meanwhile, our courts are still convicting innocent people. The preferred solution is not to secure their freedom after they’re in jail, which is chancy and uncertain, but to attack the problem at its source in the courts. It’s not as simple as it sounds. Police misbehavior remains a major source of wrongful convictions, but as we’ve seen in the aftermath of a number of high-profile police killings of citizens, our social culture has a strong tendency to give the benefit of doubt to police which is difficult to overcome when dishonest cops, in their zeal to resolve cases, falsify evidence or given perjured testimony in court. Prosecutors, jurors, appellate courts, and the public at large all tend to back the cops even when they don’t deserve it. One thing that can and should change is an immediate alteration of judicial attitudes and policies toward innocence claims. Yes, giving more serious attention to these claims will slow down the death penalty process even more, but what’s more important, dispatching murderers quickly, or making sure we don’t execute innocent people? If you answer the former, something’s wrong with your values. Innocence claims should be given their own separate track in the appellate process. By that I mean courts must be willing to reopen cases and consider new evidence, or look at old evidence from new angles, at any time a credible innocence claim is presented to the court — even when normal appeals have been exhausted. Legitimate innocence claims with bona fide evidentiary support should never be rejected on procedural grounds or technicalities. Reviewing cases for the possibility that a mistake was made in convicting the person should be an absolute and unabridgable obligation of the court system. That’s a change appellate judges can, and should, make right now and it doesn’t require legislation to do it. The U.S. Supreme Court could effectuate this change in all U.S. criminal courts, in all states and territories, with a single ruling. All it has to do is say the obvious — that the U.S. Constitution forbids the imprisonment and execution of innocent persons, and therefore the Due Process Clause forbids judicial rejection of innocence claims without a due process hearing. This is a right that supersedes any and all procedural restraints that might interfere with its exercise. Under our system, it can take 15 or 20 years to execute a killer. That’s much less a problem than the fact it can, and sometimes does, take 30 years to free an innocent person. U.S. cops killed 111 people in March 2015, whereas United Kingdom police have killed 52 people since 1900, according to Think Progress (click here). This statistic speaks for itself, and doesn’t need comment. Obviously, we have a problem. 1. Stop hiring the wrong people for police work. It’s clear that some people who have badges shouldn’t be cops. 2. Institute more rigorous applicant screening. As part of this effort, because policing in America is highly fragmented with nearly 18,000 independent police agencies, set up a national police personnel database so hiring managers can easily identify applicants with disqualifying prior employment records. 3. Eliminate the practice of police departments hiring other agencies’ castoffs to save training costs. Cops washed out for performance issues shouldn’t be able to get rehired elsewhere. 4. Change police training and procedures to emphasize respect for the sanctity of human life. 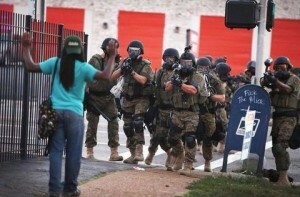 Impose strict restraints on use of lethal force, and enforce them. 5. Make it easier to discipline, sue, and prosecute killer cops. 6. 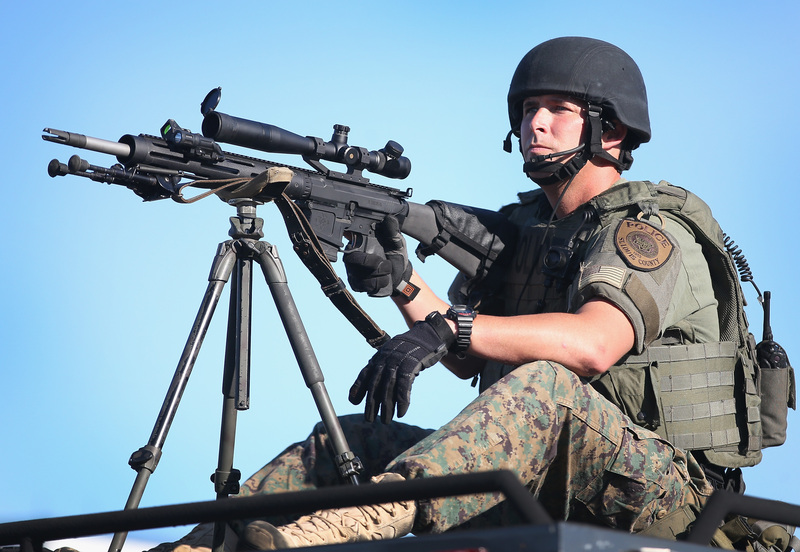 Rein in the power of police unions to protect violent and abusive cops. 7. Demand that police managers remove assaultive, abusive, and dishonest cops from their personnel lists. Unnecessary or excessive force, falsifying police reports, falsely accusing, planting evidence, lying in court, etc., should be firing offenses. It is clear from experiences of other countries that “officer safety” doesn’t require the number or intensity of killings being perpetrated by America’s police. 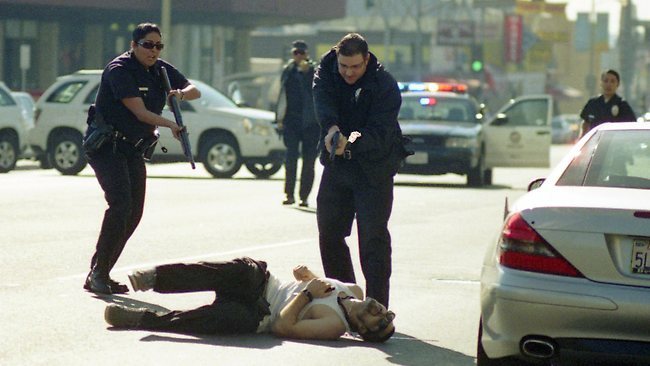 The huge disparity in police killings statistics between the U.S. and other civilized countries makes clear the problem lies with officer selection, training, procedures, and attitudes. 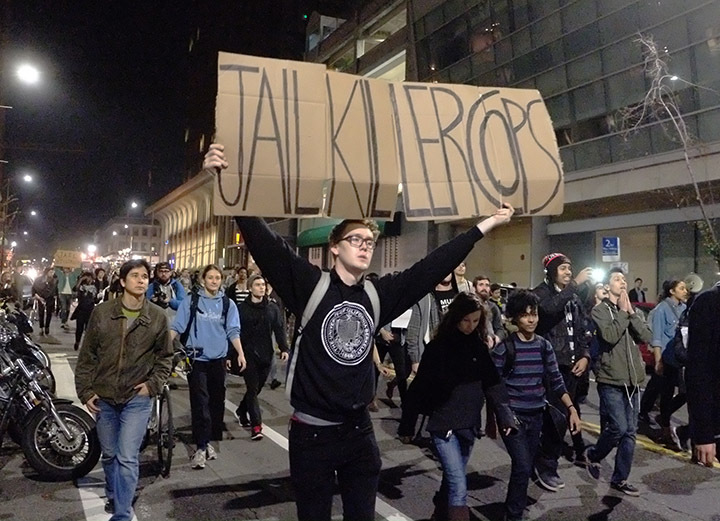 Those are the things that must change if we are to see a reduction in police killings in our country. If things don’t change, our police will lose legitimacy and public respect, and that will expose good and bad cops alike to greater danger. This entry was posted in AMERICAN HUBRIS AND CULTURE, Bumper Sticker "Faith" in Bumper Sticker America, Clark College, CLARK COLLEGE: PUBLIC DOCUMENTS ON SERIOUS ISSUES, Conspiracy against Rights and under Color of Law, Corruption and Intrigue in Government, CORRUPTION IN "HIGHER" EDUCATION, courage and treachery in government, Decline of the American Imperium, FBI-DOJ CORRUPTION, FOUNDATIONS OF FASCISM IN AMERICA, Free Leonard Peltier, Government Corruption, HISTORICAL REVISIONISM, IMPERIAL HUBRIS AND INTRIGUE, Imperial Hypocrisy and Intrigue, International Law and Nuremberg Precedents, Legal System Corruption, Mainstream Media (MSM) Shills, MSM Mainstream Media Sycophancy, NATIONAL SECURITY-SURVEILLANCE STATE, Psychopathic Management, Psychopaths and Sociopaths in Politics, Psychopaths in Management, Social Systems Engineering Campaigns, Vantucky Corruption and Inbredness, Veterans issues, Whistleblowers. Bookmark the permalink.